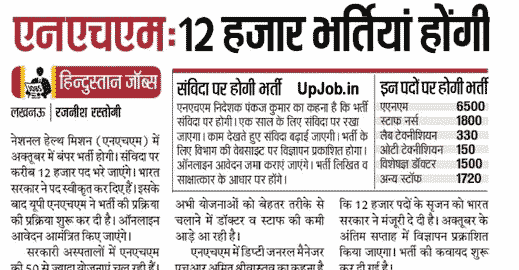 Uttar pradesh adhinasth sewa chayan ayog now going to publish the official recruitment notification Vigyapti Sankhya for the recruitment of prayogshala pravidhigya / laboratory technician Posts. Selection of the eligible candidates for the posts of प्रयोगशाला प्रविधिज्ञ will be based on through the written examination followed by personal interview test. Total no of vacancies are 921 including various categories. Selected laboratory assistant and lab technician will be appointed in Mahanideshak Chikitsa evam Swasthya sewayen and Mahanideshak Chikitsa shiksha avam prashikshan UP. Last date of application form submission is Ocotber 2018.